NCCA Papermill Theatre spent 2010 and 2011 in transition between theatres spaces. The original theatre was torn down, while the new space, Jean’s Playhouse, was constructed. During the transition, the company produced in a ski lodge: The Governor’s Lodge on Loon Mountain. 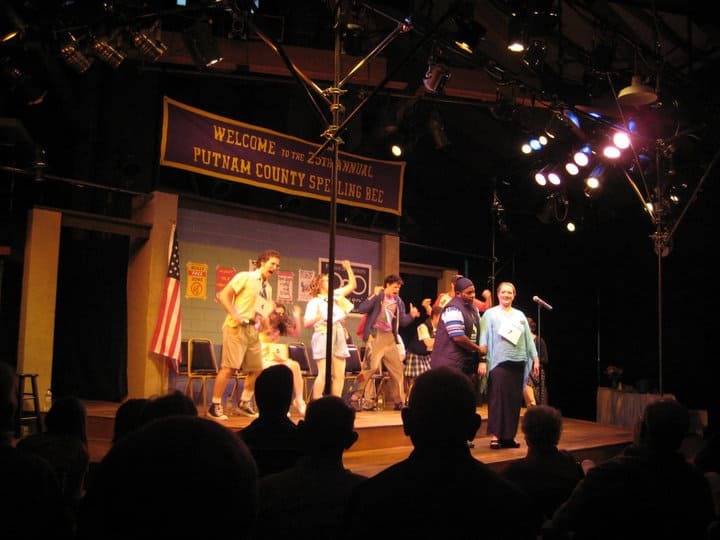 This production of Spelling Bee was the first show opened in this space. 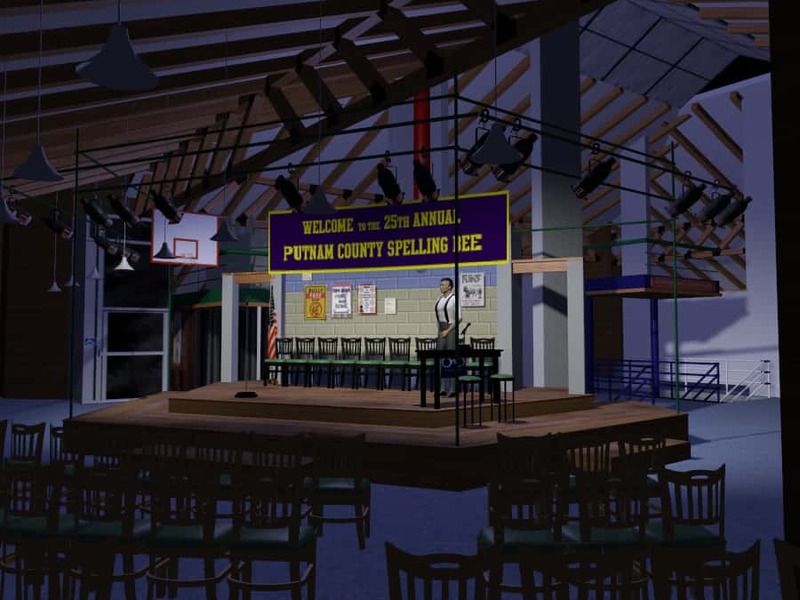 There is no stage inside the lodge; it is a large public space, ordinarily filled with chairs and tables. 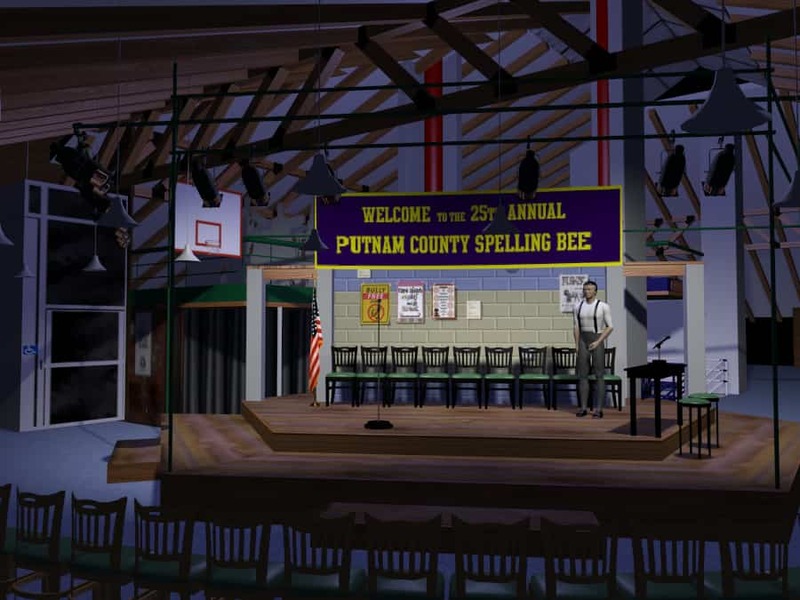 For both seasons, the design had to create a stage with a backstage area, wing access, and audience seating. 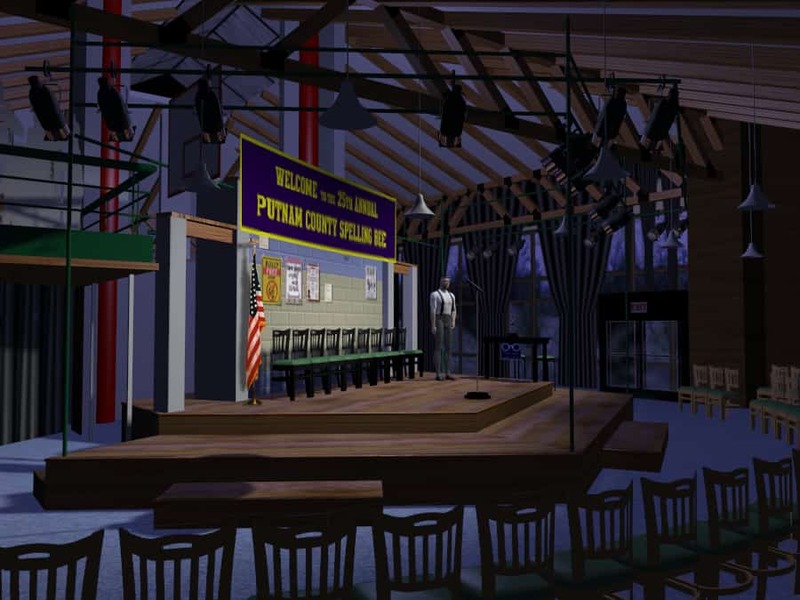 The models shown here are not only showing the set design, but also the manner in which the ski lodge itself was transformed into a theatrical space.